Nearly one month after Texas regulators approved — with major stipulations — Ray L. Hunt’s plan to buy Oncor and reshape it into a real estate investment trust, the Dallas oilman and his investors want a do-over. The fate of the state’s largest utility looks clear as mud. The group asked the Texas Public Utility Commission on Monday for a new hearing, saying it can’t close the roughly $18 billion deal unless the agency dramatically revises the terms. “The Transaction as currently configured will not close based on the Order as written,” the group said in a filing calling for those changes. When the agency issued its initial approval, the Hunts said they weren’t sure investors would agree with the extra stipulations. Now, the group has made its distaste official, and its effort to reopen the contentious and long-winding proceedings casts serious uncertainty over the deal. It also clouds the effort of Energy Future Holdings — Oncor’s parent — to emerge from one of the largest corporate bankruptcies in American history. 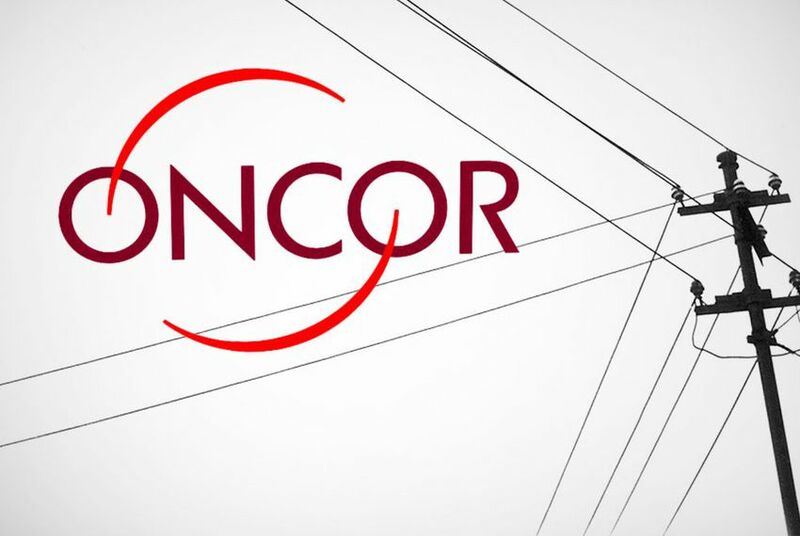 Selling Oncor, with its 119,000 miles of power lines in West and North Texas, to the Hunts was the linchpin of a debt-shedding plan that a Delaware bankruptcy judge approved in December. That proceeding began two years ago. Also on Monday, the utility commission’s staff took issue with Hunt’s application in a separate proceeding that would set Oncor’s rates — if the purchase goes through. Staffers wrote that the group failed to comply with a host of rate-setting provisions and that the application “also proposes a transaction that is materially different than the transaction approved” in March. In its motion for re-hearing, Hunt’s camp sought changes on a number of aspects of what the three utility commissioners approved last month, but the biggest sticking point was over how regulators would treat hundreds of millions of dollars each year that investors sought to save on federal taxes. In forming a real estate investment trust, Hunt would divide Oncor into two companies: One would own the assets (power lines, trucks and transformers, for instance), while the other, much smaller “operating” company would rent the equipment. In Oncor’s case, the “asset” company would hold about 97 percent of the income — largely untaxed. Federal law requires these trusts to pay out at least 90 percent of their income to shareholders thorough dividends. Hunt’s camp argues that the tax savings would draw more investment in Oncor and make for a healthier company in the long run — potentially lowering bills for ratepayers. And it said investors would walk away if Oncor wasn’t allowed to continue collecting through rates money normally earmarked for federal taxes. Company officials noted that some utilities also save on taxes by taking other corporate structures, and they call it unfair to treat real estate investment trusts uniquely. But a host of critics — including consumer advocates and the commission’s staff — objected to the idea, calling it a massive transfer of wealth from ratepayers to the folks wearing suits. The commission’s order approved the trust structure but made clear that the body, when it next reconsiders Oncor’s rates, may force the utility to share some of those tax savings directly with ratepayers, potentially lowering their bills — and the yield to investors. The commission also made plans to craft a new rule about dealing with such tax savings industry-wide. At least one other electric utility, Houston-based CenterPoint, has already expressed interest in becoming a real estate investment trust. Two of the three commissioners — Brandy Marty Marquez and Ken Anderson Jr. — supported those provisions, and did not appear willing to budge on the sharing idea. Commissioner Donna Nelson largely shared Hunt’s viewpoint. The commissioners are set to consider Hunt’s re-hearing request on May 4. One potential investor is the Teacher Retirement System of Texas, which manages the state’s largest pension fund. It has set aside $250 million for the deal, to the alarm of some lawmakers who are closely scrutinizing Hunt’s plan. Brian Guthrie, the system’s executive director, said last week that the Public Utility Commission’s rate-setting actions would ultimately shape the decision to invest. If Hunt fails to close the deal under the new terms, Energy Future Holdings could be thrust back into the bankruptcy negotiations that cost it an estimated $1 million a day in legal fees. All of the commissioners have said they would like to see an end to that bankruptcy, which has eaten up plenty of their time. Disclosure: CenterPoint Energy and Oncor are corporate sponsors of The Texas Tribune. A complete list of Tribune donors and sponsors can be viewed here.